If you are interested in Real Estate in the Beach Cities, Silicon Beach, the South Bay, Palos Verdes, Westside or Downtown Los Angeles, you are in the right place. What you are going to find here are active MLS listings and Market Reports. That's it. 100% Real Estate. 100% Local. There are thousands of properties listed on this website and they are updated multiple times a day. There are 100's of pre-set contextual searches to make it easier to find the properties you are looking for. Or you can set your own criteria and do your own custom searches. To see the most recent Beach Cities and Silicon Beach listings just scroll down. The results update multiple times a day. Thanks for visiting here. We hope you enjoy using this site and come back often. Socalistings specializes in the following places. Link to the city pages. Manhattan Beach homes are some of the most expensive in the LA area. Luxury, coastal living at its best. Redondo Beach can almost be thought of as two cities: South Redondo Beach and North Redondo Beach. Hermosa Beach properties are often within biking or walking distance to the beach. Live the Beach Cities lifestyle. Venice boast the "coolest" block in America, Abbott Kinney Blvd and the world famous Canals. Playa Vista aka ground zero of Silicon Beach is where you find 100's of tech companies. Westchester lies just north of LAX and is predominantly single family houses. Santa Monica with its iconic Pier is a major LA tourist destination and a great place to live. Marina Del Rey is the world's largest man made small craft harbor and many properties have views. Playa Del Rey is found just north of LAX and has entry level condos and luxury homes. 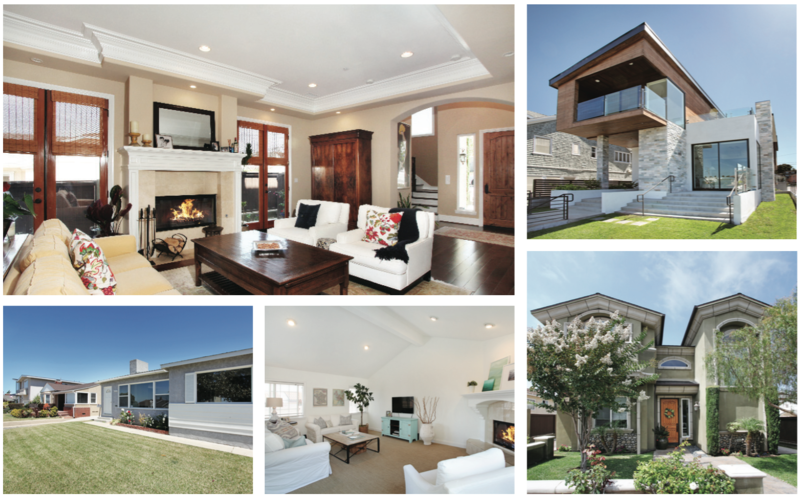 Torrance is the largest South Bay City with 5 zip codes and homes in all price ranges. El Segundo just south of LAX has a small town Main Street feel downtown. Lawndale and Gardena have many affordable SFRs and entry level homes. Hawthorne is where you find Tesla, SpaceX and some of the best gated communities in the South Bay. Rancho Palos Verdes homes may have either city or ocean views and large lots. Palos Verdes Estates is truly estate living with large homes featuring pools of tennis courts. Rolling Hills is a guard gated city with private roads and no traffic lights. Rolling Hills Estates offers a great equestrian lifestyle. Just Listed in the Beach Cities and Silicon Beach. There are thousands of other homes listed for sale on this site from the South Bay to Westside LA. Enjoy!